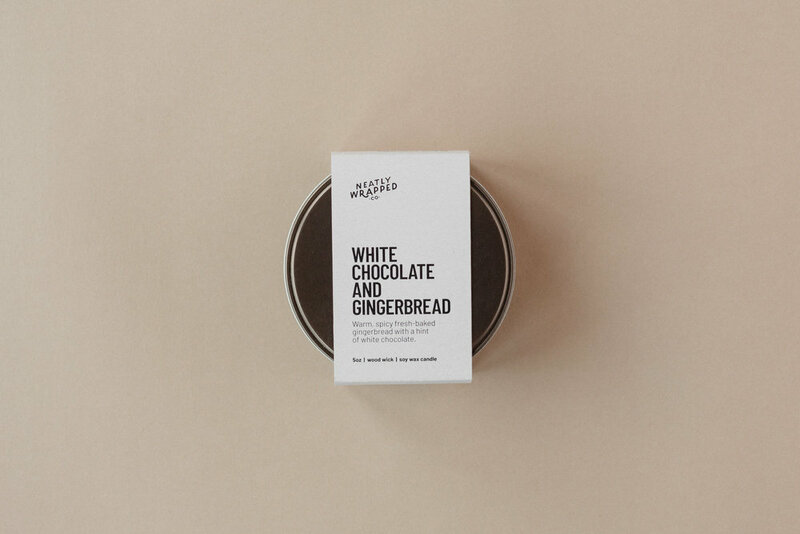 White Chocolate and Gingerbread — Neatly Wrapped Co.
5oz wood wick soy candle in a bronze tin, with a White Chocolate and Gingerbread fragrance. An uncanny fresh-baked gingerbread fragrance with a hint of white chocolate into the bargain. This is a sweet fragrance that has an authentic buttery home baking feel to it. Beautiful notes of warm ginger spice and cinnamon. The smooth white chocolate adds a lovely depth to it - it’s a festive, nostalgic fragrance, and one of our best sellers year-round. The fragrance oil in this candle contains - vanillin, cinnamal, ethoxy-methoxymethylphenol, eugenol, eucalyptol, citral, linalool, alphapinenes, geraniol, coumarin.